Now makhana seeds are the in thing at our house hold. My kids love the flavour of it. My husband love it due its nutritional value. Phool Makhana is so high in protein. 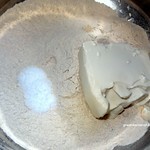 In this recipe I have added silken tofu also. 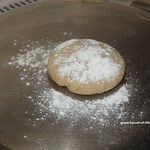 But if it is not available you can use normal water to make the dough. Start your day with a perfect breakfast or end it with a perfect dinner recipe! Heat the flat griddle or pan. 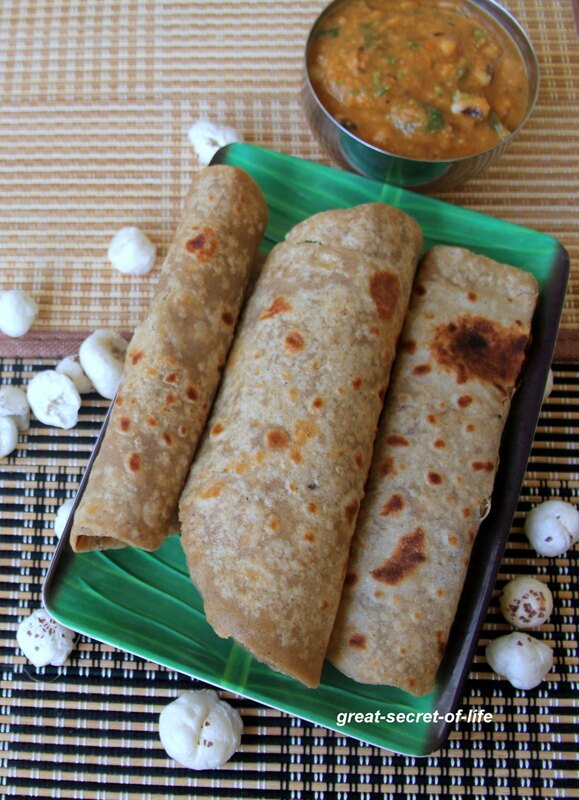 When it is hot put the rolled chapati and drizzle oil around it. Let it cook till brown spot appear. Turn it over and cook other size. I love indian flatbread! These sound and look wonderful with lotus seeds. Like your creativity. 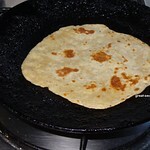 Wonderful rotis. 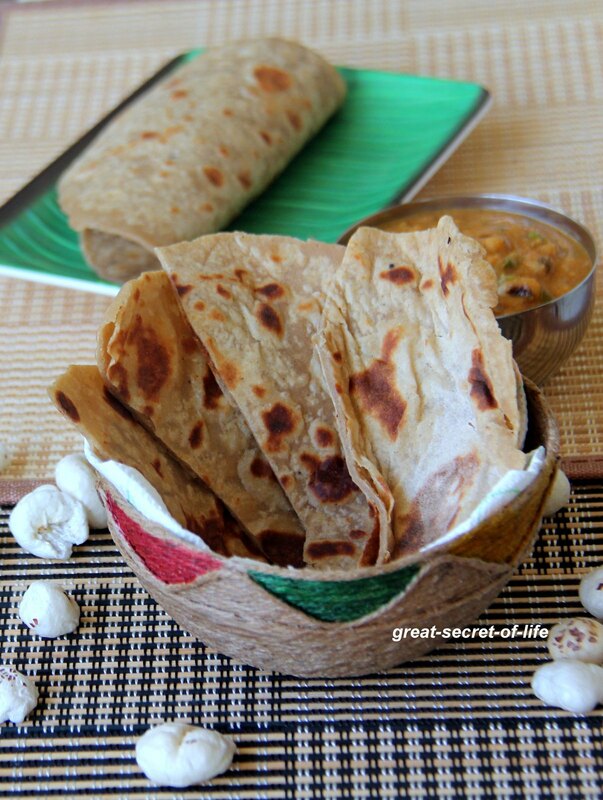 I never had makhana in roti, does it add a sweet flavor? 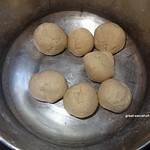 Lotus seed powdered for roti looks yum. ...wow u take so much effort to get the diet right I have a lot to learn from u.
wow tis is jus awesome.. 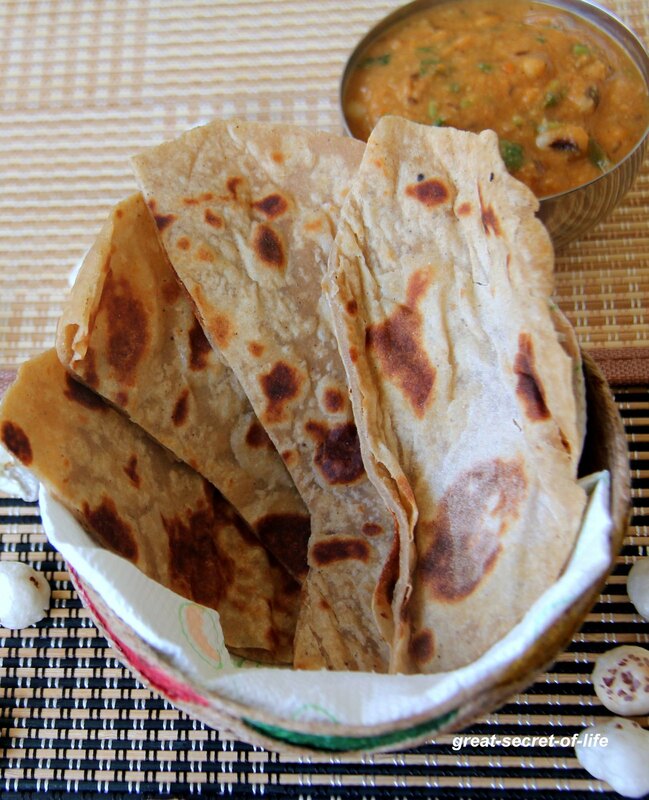 Interesting recipe.. the roti looks soft and delicious..